There are myths about almost every single subject in the world – the same goes for online food ordering systems. Some people just like to talk and nowadays, in the era of the Internet, they also spread their words all over the web. It’s time for us to overthrow some of these myths. Once you say out loud that you’re thinking about bringing your restaurant to another level by investing in an online food ordering system, you’ll get a bunch of good advice from people who don’t even know the business. You have to let this go in through one ear and out through the other and only rely on certain sources of knowledge – like statistics. It’s not true that customers don’t like to make online orders. Why wouldn’t they? Still, somehow many restaurant owners think that their customers are old-fashioned and would rather come to their diner in person or call for delivery. Meanwhile, surveys give us totally different information. According to research in 2018, almost 2/3 of Americans are used to using an online ordering system and they claim that they will use it even more in the future. There’s also a myth about customers supposedly not liking online payment systems – needless to say, this is also not true. People use online payment systems, as well as mobile apps, much more often these days. A 2016 survey say that online payments are growing fast – reaching almost 110 billion dollars, which is 18% more than the previous year. And this is only a recent example – as you develop your restaurant online marketing you have to keep in mind that these numbers are getting bigger. Another thing that can (completely wrongly) bother restaurant owners is a belief that an [online ordering system] is an expensive investment. Well, it may be a little costly, but that rule applies to every worthwhile item and service in the world. 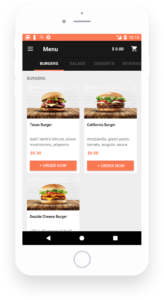 However, there are more convenient options as well and a good example of s (when it comes to online ordering systems) is UpMenu. A subscription might cost a restaurant owner just $49 per month! That doesn’t too sound extravagant, does it? Oh, come on! Does anybody really believe that anything like this is hard to understand? We use much more complicated apps on a daily basis, we learn how to use really specific programs. Why wouldn’t we comprehend a very intuitive online food ordering system then? Implementing it, as well as taking orders, is based on a few clicks or taps on your screen – there’s really no need to know all about new technologies to use it. 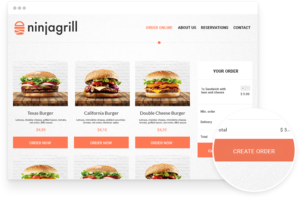 Sure, implementing an online ordering system is a big change – but it’s a very good change and so it’s only big in a good way! Your staff will understand how it works really quickly (because of how intuitive it is) and then they will be free of all those phone calls. This will give them more time to take care of the customers who decided to come to your restaurant instead of using the online food ordering system. According to some restaurant owners, their connection with a customer is much stronger when they call the restaurant to make an order. But think about this: your worker didn’t take the order on the phone correctly (because of their own mistake), which made the customer angry. Is that the connection you’ve been thinking about? You can still stay in touch with your customers through e-mails, text messages or a customer loyalty scheme – read more about it: 9 advantages of online food ordering for restaurants. Is it, really? Nothing will give you as much profit as a good online ordering system. 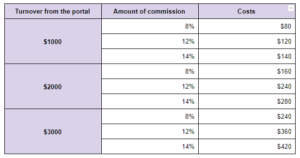 That other website you’re thinking about wasn’t created to promote you, it was created to promote itself and make as much profit as possible on the commissions. As you see, there are a lot of reasons to implement a online food ordering system in your business. There are also a lot of reasons not to believe some of the urban legends and base your knowledge and decisions on statistics – not some supposedly good advice.